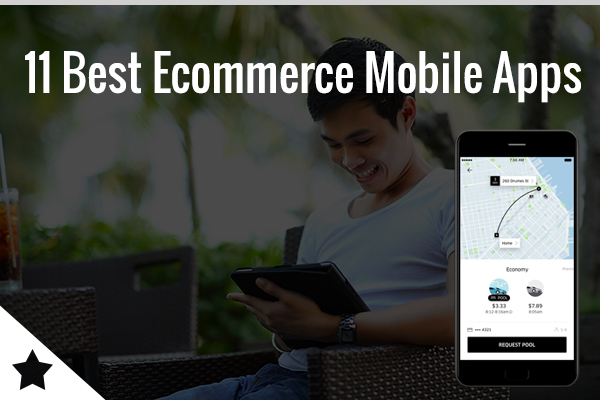 The rising usage of smartphones coupled with the mobile commerce is proving to be a boon for both business owners and the app developers. The combination is not only escalating the revenue generation but also enhancing the user engagements and retentions. Though there are millions of apps that get uploaded on the play store almost every other day, very few actually manage to make an impression – either because of their niche concept or exceptional functionalities. Amazon – the leading online marketplace worldwide, provides an excellent shopping experience to their users. 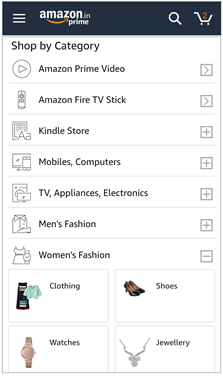 The app is lighter and faster, and allows you to search and filter a wide range of products on various parameters with just a couple of clicks. It provides multiple payment gateways for easy checkouts and you get up-to-the-minute updates about your order status. With the localization of the app, users can also avail the offers from the nearby local businesses. 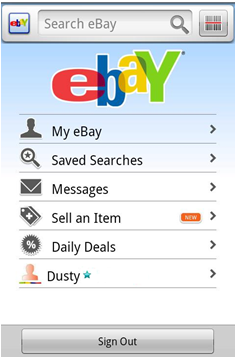 eBay mobile app has enabled the users from across the world to bid whenever they want. The search options are streamlined to enhance both the buying and selling experience. 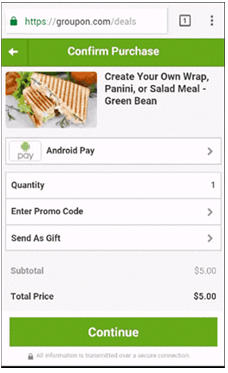 The app features include barcode scanning for price comparisons, autocomplete searches, guest checkouts, linking of Paypal accounts with eBay accounts for quicker transactions and much more. With the eBay alerts, you get the updates about the latest auctions, or whether an auction is closing soon or if you were outbid. Groupon app provides ‘deal of the day’ recommendation services for their customers. Users are lured to avail great offers on a variety of things they need in general (such as eating out at a restaurant or shopping at a fashion store or even a tropical getaway). The app sends promo codes or savings alerts for the deals near you, that you can redeem instantly or share with your family/ friends – using the mobile device. 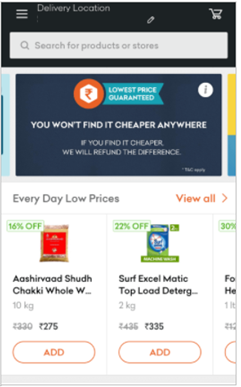 Grofers is an on-demand delivery service that picks up stuff from the nearby stores and delivers them within a time limit. You can place requests for grocery and staples, meat and dairy, fruits and vegetables, household and pharmacy items, bakery and flowers etc. and get them delivered at your doorstep. The app is beautifully designed with full width photographs and simple navigations that entices the users. 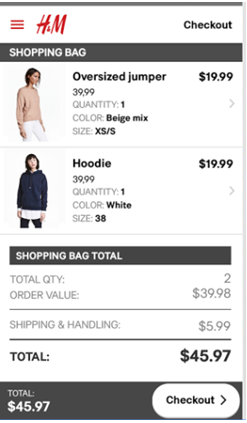 H&M – one of the world’s leading fashion companies provides an incredible app for both android and iOS users. It is beautifully designed with intuitive screen graphics and book style product menu. The users can easily scan items using the barcode scanner and share them on social media or with friends. The app also allows them to get timely sales alerts, or search for physical stores near their location. Paytm is a great mobile app for ecommerce transactions in India. It works with almost all the popular telecom operators across the nation and enables the users to instantly recharge their mobile connections on the go. The cashless transactions also includes recharges for mobile data cards, metro cards, digital TV connections as well as for paying utility bills. 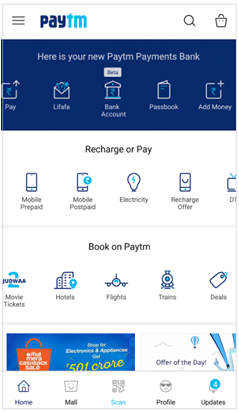 Apart from that, you can use to it transfer or receive money from other paytm accounts or pay for movie tickets, book hotels and transportation, or shop from its catalogue. It also offers several deals and cashbacks for paying through the app. Starbucks app was created primarily for payments and rewards through the mobile devices. 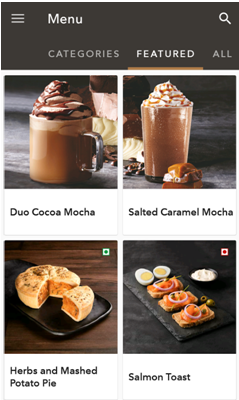 Users can add funds into their loyalty card and use their smartphones to buy drinks at the store, tip baristas and earn loyalty points on the go. The app can also be used to download free music and games or to locate the nearby stores. Accumulating enough Gold stars can even fetch you free refills and free food. 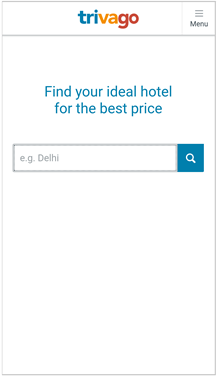 Trivago is an online hotel searching site that displays the name, price, availability, images and the reviews of hotels in a particular place. When the users make their selection, they are redirected to the hotel portal to complete the booking. In addition to the hotel searches, the app also provides interactive maps and displays accommodation in close proximity to a user’s current location. 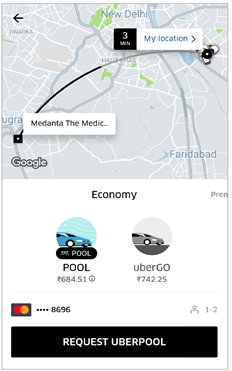 Uber is a great on-demand cab service app that connects the riders to drivers and uses the GPS technology to access the exact progress of the cab. It allows you to compare the fare quotes for different vehicles and you can even pay through your mobile wallets. After every ride, both the driver and the passenger get to rate each other and leave their feedbacks. 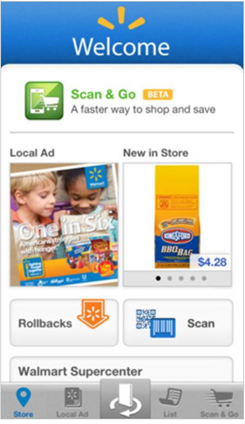 Walmart mobile app offers a rich shopping experience to the users from the comfort of their homes. It not only enables them to browse and purchase products from walmart.com, but also gives them access to the local store inventory as well. The features include smart shopping lists with manufacturer’s coupon codes, QR code scanning, real time price calculations, as well as the ability to add items to the shopping lists either by speaking, typing or scanning bar codes. 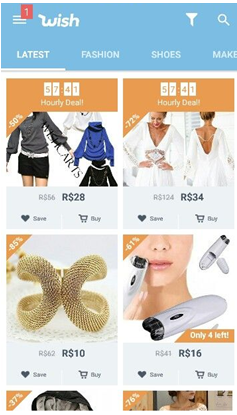 Wish is a popular shopping site for purchasing clothing, accessories, electronics and gadgets at a steep discount. The app is available for both iOS and Android platforms that simplifies and enhances the whole experience of online shopping. Consumers easily can connect with the international sellers and share or suggest products to their friends. The app has attained great reviews relating to its user interface and the ease of ordering. Check some of the best productivity apps here. Spend less at work and do more in a day! Divya Dube is an e-commerce subject writer at https://mofluid.com. She loves to research and is an avid reader of technology, psychology and fiction. She is also a gadget freak, a traveller, loves chocolates & music and has an immense passion for writing.